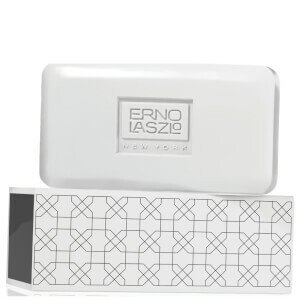 Clarify and brighten dull, uneven complexions with the Erno Laszlo White Marble Cleansing Bar. Creamy and lavish, the innovative bar does more than just clean and utilises breakthrough whitening technology to transform the look of pigmentation. 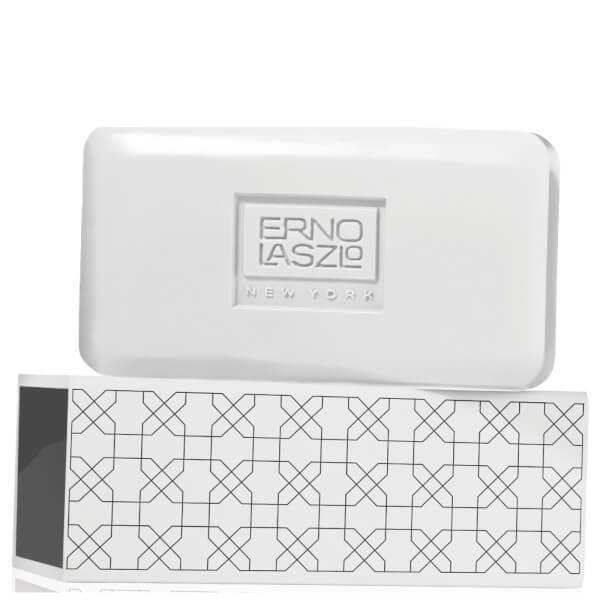 The exclusive nano-encapsulated LumiWhite Complex blocks excess melanin to help fight discolouration and reveal a natural, long lasting radiance, plus active enzymes help to even out tone and minimise the appearance of sun spots. Its Fruit Acid Complex, derived from citrus and natural sugars, breaks down dirt and exfoliates deep within pores to eliminate impurities and excess oil, whilst extract of Willow Bark acts as an anti-inflammatory ingredient to soothe and nourish. Packed with brightening Vitamin C, nourishing Shea Butter and exfoliating Lemon Peel Oil, skin is left feeling moisturised and protected from external aggressors. Witness a revived, healthy-looking glow. Free from Phthalates, Parabens, and Petrolatum.